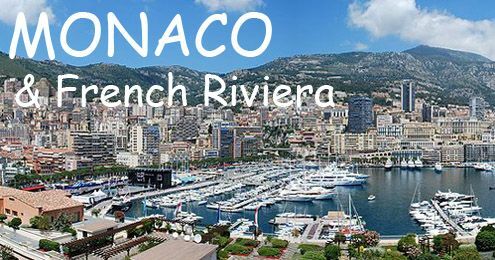 MONACO (CAP d AIL) FRANCE for teenagers aged 13 - 17 "FRENCH IMMERSION VACATION"
Learn French this summer in the beautiful Cote d Azur. Visit vibrant Vieux-Nice, the Old Town, where the native Niçois live. It's also home to lively cafés, galleries, and nightclubs. Bring your camera or paint box and capture the colors of the flower market, Marché aux Fleurs. Lunch on a Niçoise-style pizza, or pissaladiére, or perhaps a fresh salade Niçoise. Stroll the promenade des Anglais, Nice's grand avenue, lined with palm trees, gardens, shops, and hotels, including the grand Hôtel Negresco, which boasts a mammoth Baccarat chandelier. View superb art at The Fine Arts Museum (Musée des Beaux-Arts) and the Masséna Museum (Musée d'Art et d' Histoire Palais Masséna). Ponder the remains of Roman baths and a large arena on Cimiez Hill. Henri Matisse lived in Nice during the last years of his life; the Matisse Museum (Musée Matisse) offers an excellent survey of his work. See some of Marc Chagall's most important works at the Chagall Museum (Musée du Message Biblique Marc-Chagall). A small village overlooking the Mediterranean flora, geological features, and an ancient millstone quarry. One of the region's magnificent beaches is the Marquet Beach, a family beach perfect for sports activities (wind surfing, tennis, catamaran, deep sea diving), and where the Amphitheater by the sea will satisfy your cultural inclinations. The Mala Beach, a true Mediterranean grotto. The steep, coral covered, rocky cliffs give an amber hue to the salty sea below. The Pointe des Douaniers Beach, is a steep rock that rises out of the Mediterranean sea with its characteristic colors bearing witness to the volcano it once was, erupting many millions of years ago. Nearby, the commune of La Turbie looks down over the Principality of Monaco from its high rocky mountain perch, and offers a magnificent view of the Italian Riviera and the Esterel. The center of the famed Principality of Monaco on the French Riviera has long been the playground of the rich and famous, flaunting its renowned casino and annual Formula 1 Grand Prix. A holiday in Monte Carlo may be beyond the budget of most, but it is easy to travel to Monte Carlo for a day trip. For years, Monte-Carlo has been the playground of the rich and famous, from Hollywood starlets to royalty. It is also one of Europe's foremost holiday resorts, but certainly not for the humble backpacker. The city has several attractions, such as the Oceanographic Museum and Aquarium, the Monaco Cathedral and the Prince's Palace, several gardens, and other attractions centred on the country's famous Royal Family, such as an exhibition of HSH Prince of Monaco's Private Collection of Classic Cars. With over 2500 hours of sunshine every year, Nice boasts an exceptionally mild climate. The average daily temperature hovers around 15°C, soaring up to 40°C in July-August and rarely dipping below 5°C in winter (November-February). In summer the water temperature is a languid 20-25°C. Restaurants can be found all over the city. Promenade de Anglais is full of restaurants and cafés to choose from, although they can be pricey. For the best selection, covering all price ranges, go to Vieux Nice. Naturally there are many restaurants in the city serving national cuisine. These range from top class restaurants which would cause most teens to go over their budget, to those with more reasonably priced menus. Italian food is also prominent on most Naçois menus.